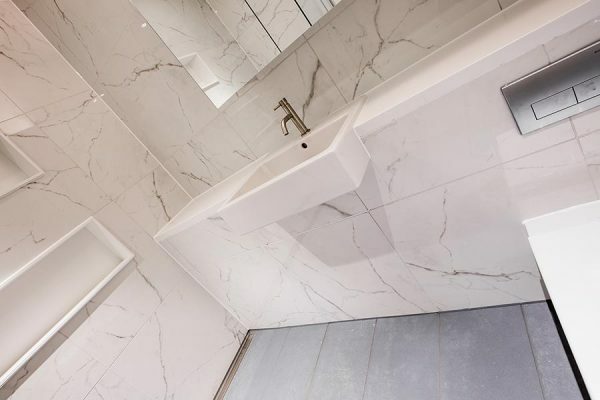 Drawing on our expertise in the commercial and leisure sectors, we’re able to create unique high specification washrooms for luxurious large-scale scale residential developments. By adopting a bespoke approach to design we can create and deliver unique finishing touches for high end residential projects. Our Iconica Collection, which offers a virtually limitless range of high quality materials in an array of different finishes and colours, has been specifically developed to cater for high specification projects which demand unique washroom spaces using more unusual materials such as back-painted glass and solid surface Corian. Working together with our specialist joinery company, Cre8 Joinery Solutions, we can provide bespoke joinery products to meet the specific design requirements of each individual project. From washroom vanity units with inbuilt storage and mirrors to built-in wardrobes, our space-maximising designs are practical and stylish in equal measure. We can work quickly and manufacture in house to create bespoke projects perfectly suited to your exact project specifications.